You want to send postcards but they do not please you or you know that your card will arrive 1 month after the end of your vacation? 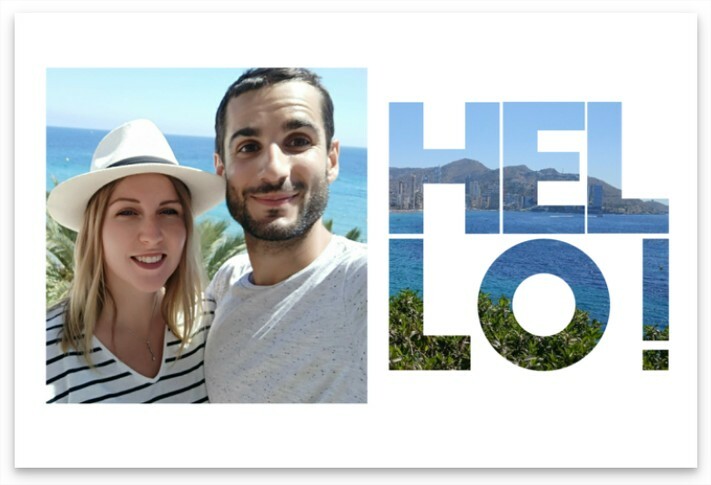 Enjoy your holidays and use digital postcards 2.0 with your smartphone by decorating them with your most beautiful photos. I had the idea to use an online postcard service when I was on vacation in a country far away from France. I did not want my postcard to arrive after I got home and it was hard to find cool cards. Tired of curiosity I downloaded the Fizzer application and let myself be guided. What is the best postcard application online? 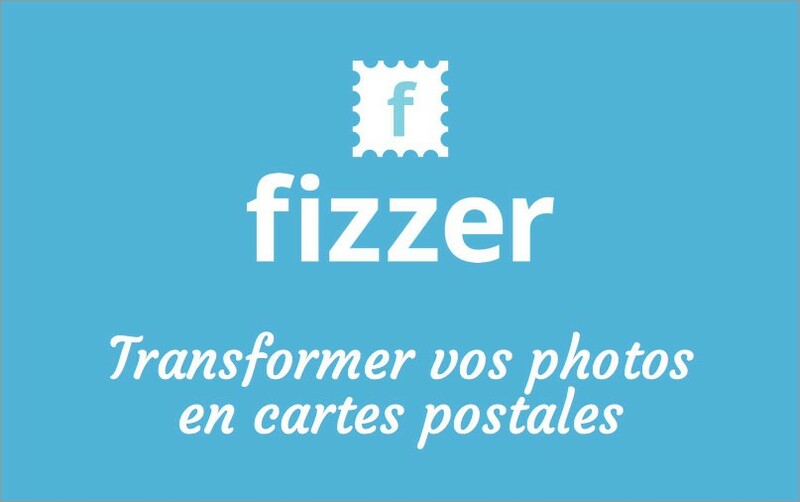 You write your postcard on an application by personalizing it with your photos, and the company Fizzer, based in France, prints the card and post it for you. This allows you to quickly send a personalized map even if you are on the other side of the world. Finish the postcard that gets lost or arrives after your return trip! The application Fizzer was a great discovery because the postcard is of excellent quality, customized, delivered in about 2 days and handle the application is very nice. It is possible to fully express one’s creativity and friends are often pleasantly surprised by the card. To get started just download the Fizzer app, available on iOS and Android. The application is free and the download takes a few minutes. Here you are ready to start. The application is very intuitive and easy to use. 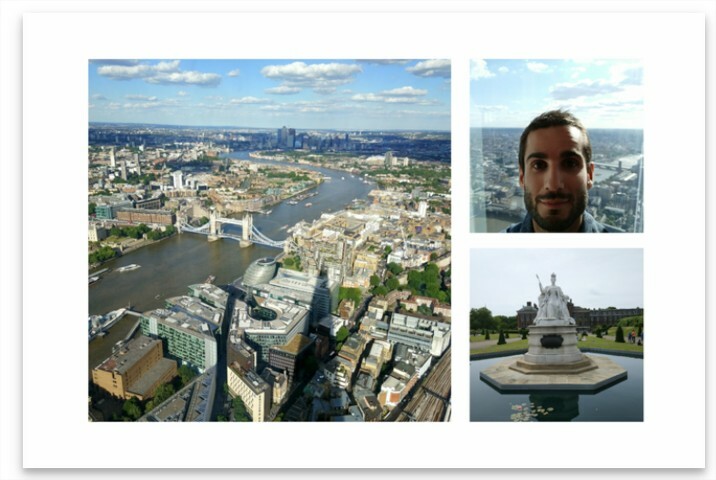 The multi-photo card: Several formats are available, perfect for a small editing of photos and share some places and pleasant moments of your holidays. I used both types of format and it’s really convenient to use. It is also possible to customize from where the postcard is sent. Perfect to help your loved ones to locate you. 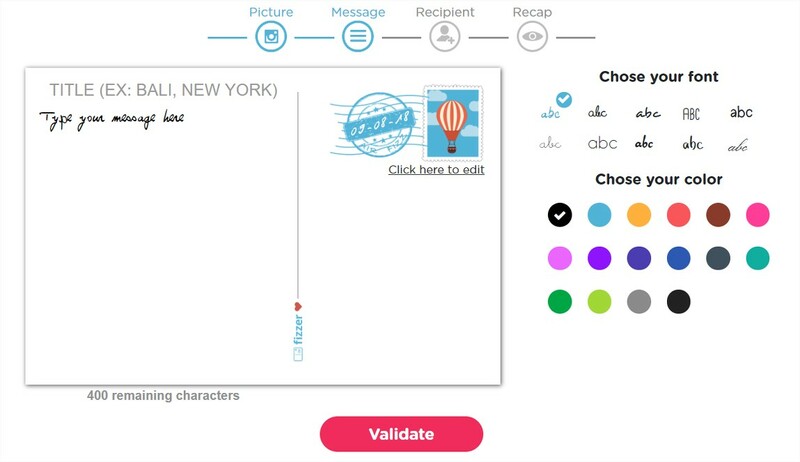 After clicking on the button “Validate” you will have the opportunity to sign your postcard. You will need to draw your signature on the smartphone screen. In a classic way you have to enter the address of the recipient, the application is quite well thought out, I see that it is possible to save the addresses, ends the chore of having to remember and re-write the addresses each time. In 1 click the address will be returned if you want to send another postcard later. In an optimization effort, it is possible to select multiple recipients for the same postcard, to use wisely. It will only risk clicking on the send button. Small bonus, it is possible to customize the stamp with one of his photos. And in addition, you will surprise suddenly on your loved ones who will not expect it, happy holidays! There are other online postcard services other than Fizzer. On my side I let myself be convinced by Fizzer and I did not have time to test others. It must be said that nothing frustrated me when using so I did not take the time to go elsewhere. Among the competitors we find Popartte, Instapost, Postcard, Momentic. These other applications are probably also very good for writing your postcards online but the one that meets the most success is definitely Fizzer.